Options are considered a 4-letter word among many energy executives, risk management professionals, and even traders. 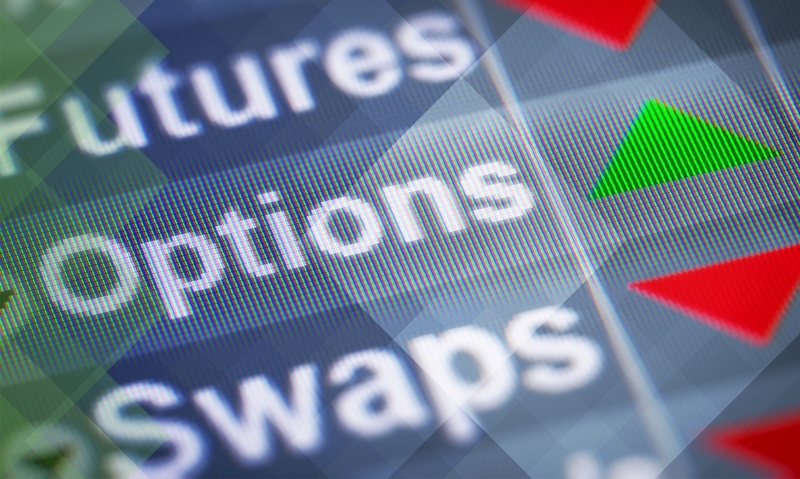 It is a common misperception that trading options always increases risk. They can. However, options are not necessarily riskier than other physical trades and hedges, and they can be used to manage or decrease risk as long as your organization has the right people, process and technology to properly handle options. We will cover these requirements later in this article. Below I’ll present a case for including options in the risk management program of an energy trading organization. We will explore these concepts in two parts. First, I’ll review the question of how buying (and even selling) options can reduce risk. Second, we’ll review the potential role of options in an energy risk management program. It is widely believed that selling options is much riskier than buying options. Context is important, as we will explore further in the paper. In the first part, we will stick to stock investment analogies for the purpose of understanding some fundamental principles. Let’s start by recapping purchased (long) vs. sold (short) options. Purchased (long) options are widely viewed as hedges (or insurance). For example, a long call can provide a cap on expenses, and a long put can create a floor for revenue. Running with the insurance metaphor, the premium for purchasing the option is the effective cost of insurance. The length of the option can be varied to determine the term of the insurance coverage. However, sold (short) options are associated with massive risk and strike fear into the leaders of many trading organizations. If they are viewed separately, it is true that short options have significant financial risk, but this risk is not necessarily greater than that of financial futures, swaps, and other commonly used types of trades. In the context of a portfolio of investments or assets, short options can also mitigate risks. Let us start with a stock investment example. 3. Listed options are available for your stock or index (options are available for many, but not all stocks). Only the Price Decrease scenario may have involved an actual loss (if the stock is worth less than $100.10/share), but you lost less than you would have from initially buying the stock (for $102.12). You were a happy buyer at $102.12/share and saved $202. Only the Price Increase scenario may have lost compared to an initial stock purchase. But remember, you were not investing for explosive growth, and you can take some comfort in the 1.9% return that you received over 10 days. This is an approach taken by many option traders. It has been referred to as “getting paid to buy stocks at a discount” (see related seekingalpha.com article). A popular way to initiate a stock position (without options) is to place a limit order slightly below the current price, in an effort to buy the stock on a price dip. Selling puts at the same level as this limit order generates income while you’re waiting for your buying opportunity. As an aside, when you buy or sell an option, you are not only buying or selling the stock or commodity price. Option values are strongly affected by the volatility of the price. If you buy an option you are buying “implied” price volatility and benefit from increases in volatility. Conversely, if you sell an option you are selling implied volatility and benefit from decreases in volatility. When you trade options, consider whether you are selling implied volatility at a high level, or buying implied volatility at a low level, as well as how volatility is likely to change during the term of your trade. In this example, we were selling puts with almost 30% implied volatility, which is relatively high compared to the past year’s data as charted on www.iVolatility.com. Options traders call exposure to volatility “vega,” and when you buy/sell options you are usually long/short vega, respectively. For more discussion of implied volatility and vega, there are numerous online resources such as Investopedia/IV. Now let’s turn our attention to professional applications, the use of options for energy risk management. We will explore three examples in which options can be used to hedge or optimize complex business strategies. A call option could be purchased with a $72/bbl strike for a premium of $1.05/bbl. For the cost of $1.05/bbl it would effectively cap your costs at $73.05 (including the price of insurance). This eliminates the risk of a price spike without forgoing the possible benefit of lower supply costs if crude prices fall between now and September. A put option with a $68/bbl strike could be sold for $1.73/bbl. This is similar to the earlier example of selling equity puts. In effect this would lower your supply costs by $1.73/bbl, but establishes a floor that would prevent your costs from falling below $66.27 (the difference between the $68 strike and $1.73 premium collected), even if crude prices fell dramatically before September. However, that floor is almost $3/bbl below the current September futures price. You could do both (buy calls and sell puts), in which case you would net the difference in premiums, $0.68/bbl. In this case, you have lowered your acquisition costs by $0.68/bbl and guaranteed that your costs will not vary outside of the range $67.32 and $72.68/bbl. For many firms, that price certainty could be quite desirable. As mentioned above, you should consider the level of implied price volatility when you decide to buy and/or sell options. Higher volatility may make option sales more attractive, while lower volatility may favor purchases. Financial options can also be bought or sold to hedge embedded options in complex pricing formulas. For example, if you purchase a physical commodity with a payment formula that contains an embedded cap (or sell a commodity with a price floor in the payment formula), you have in effect received an option within the payment terms. You can monetize that cap (or floor) by selling a similar financial call (or put). If the financial hedge is not identical to the underlying physical commodity, you may experience residual “basis risk” associated with potential gains or losses caused by differences in the way the physical formula and financial hedge values interact. Conversely, you can enhance your marketing efforts by offering embedded options in transactions with your customers, i.e. providing them caps or floors. In this case you can hedge the embedded options that you sold to your customers by buying similar financial options. Whether you buy or sell options, and whether they are hedges, asset-backed trades, or outright speculation, you should first develop the necessary people, process, and technology capabilities described at the start of this paper. These will enable you to assess the value and risk of different options positions, and properly manage them through their life cycle. Extensions – future options to extend a contract or acquire an additional asset at a fixed price, e.g. a contract to construct a marine vessel which includes an option to acquire another vessel at an established price within 3 years. Real options can be optimized without trading financial options. One method for monetizing such options is referred to as delta-hedging (named after the price exposure of options, which traders call “delta”). Consider a pipeline capacity example. If a firm has firm pipeline capacity to move crude from a $66/bbl supply location to a $76/bbl market for variable costs of $4/bbl, then the current profit from this movement is $6/bbl. This current spread is referred to as “intrinsic” value. The option value may be significantly (e.g. 50% or more) higher than the current spread, because it includes intrinsic as well as “extrinsic” value. Extrinsic value represents the probability that the spread may further increase. In our pipeline example, the option value may be $9/bbl ($6/bbl intrinsic + $3/bbl extrinsic). A delta hedge could be designed to monetize the full $9/bbl value of the capacity, not only the current intrinsic value. This requires an options model capable of calculating the value and sensitivity of such a spread option. However, the hedge would consist of exchange-cleared futures and swaps, not necessarily financial options. Real options can represent significant value within energy firms, and their optimization can be quite valuable. They tend to make greater demands on your organization’s capabilities, due to the higher option complexity relative to financial options discussed previously. This topic, optimizing real options, is too complex to cover completely within this paper, but will be covered more thoroughly in an upcoming blog. Technology– decision support tools and systems of record (e.g. ETRM and accounting systems) must be capable of handling options. These requirements should factor into the cost/benefit analysis in deciding if options are right for your firm. Options may work nine of ten times without difficulty, but on those (hopefully) rare occasions that something goes wrong, you will need the options valuation and risk management capabilities described above. We hope some of this material has been provocative and results in reevaluation of “conventional wisdom” concerning options. Veritas believes that options represent another dimension of energy markets that, properly managed, can provide significant benefits to a trading and risk management program. At Veritas Total Solutions, our team of experts are versed in options and other risk advisory services. We offer advisory, organization diagnostics, and strategic services in this area. If you are interested in learning more about our specific capabilities, contact us to learn more or subscribe to our blog to stay connected!